These terms tell you the rules for using our website www.fellowsint.com (our “site”). www.fellowsint.com is a site operated by Fellows International Limited ("we", “us” and “our”). We are registered in England and Wales under company number 02905072 and have our registered office at 130 High Street, Marlborough, Wiltshire SN8 1LZ. Our VAT number is 620 8947 30. 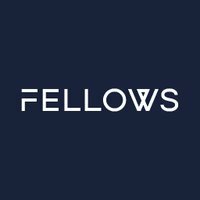 To contact us, please email info@fellowsint.com. We may update and change our site from time to time to reflect changes to our services, our customers’ needs and our business priorities.